Remember the Rubik’s Cube? That challenging, fun, brightly-colored logic puzzle that meant HOURS of problem-solving, “can’t put it down” addiction? It’s received a modern makeover in the form of a new Spanish toy called the Marusenko Sphere. Created using a 3-D printer, the Sphere includes 54 pieces and is made without glues or tiny parts — meaning little ones can take on the challenge as well (or just enjoy moving the colors around and around). 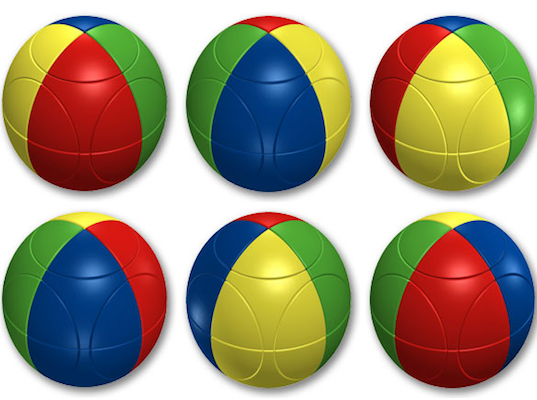 With 5 levels of difficulty, 9 different types of movement and numerous color combinations, this game will keep kids’ brains and hands moving while they take an afternoon “break” from the action, wait ever-so-patiently at a restaurant, or endure a layover at the airport. If they can pry it out of their parents’ hands, that is. Remember the Rubik's Cube? That challenging, fun, brightly-colored logic puzzle that meant HOURS of problem-solving, "can't put it down" addiction? 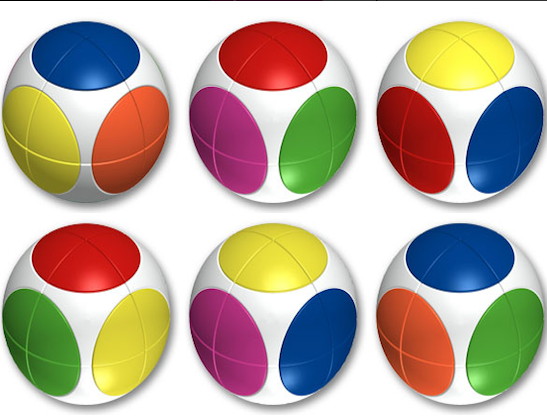 It's received a modern makeover in the form of a new Spanish toy called the Marusenko Sphere. Created using a 3-D printer, the Sphere includes 54 pieces and is made without glues or tiny parts -- meaning little ones can take on the challenge as well (or just enjoy moving the colors around and around). With 5 levels of difficulty, 9 different types of movement and numerous color combinations, this game will keep kids' brains and hands moving while they take an afternoon "break" from the action, wait ever-so-patiently at a restaurant, or endure a layover at the airport. If they can pry it out of their parents' hands, that is.